REDCON 1: Watch The Trailer For The Martial Arts Zombie Action Flick! Yes. Martial Arts. And Zombies. You know, I never knew I wanted to see what nun-chucks would do to the decaying cranium of a zombie until I watched this trailer for Chee Keong Cheung's zombie action flick Redcon 1. Believe me, I do not think they make for a practical weapon at all in the event of a real zombie apocalypse. What do you do when the chain eventually snaps? Then you just have a short stick! Still. The idea of soldiers using martial arts in close quarters combat with a infectious horde at least piques some interest. Have a look at the trailer for yourself. 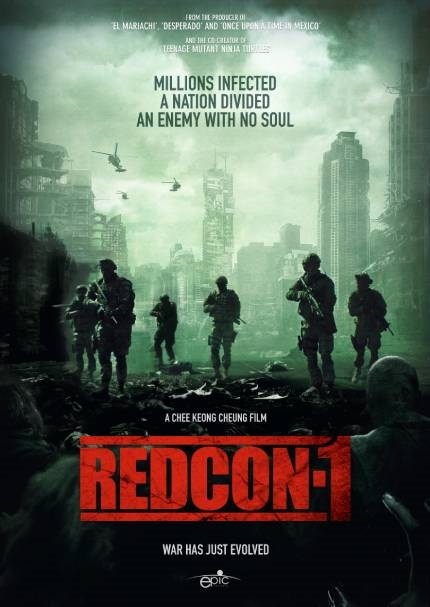 Dread Central and Epic Pictures will release Redcon 1 in May.